Hiring a new talent is an essential and vital part of being a business leader, and it is somehow more complex than just going through the resumes and conducting interviews. There are many employer faults that might deter candidates, from poorly-crafted job descriptions to the lack of communication about the exact requirement and the operations involved. To be an apex recruiter and to hire the brightest job applicants, you need to equip yourself with as much information as possible. A vast collection of job search data can be highly beneficial for this. By capturing insight into the hiring process, you’ll be able to upgrade the candidate experience and eventually make satisfactory hires. Hiring should be done in a mode which is convenient for both parties involved in it. Our business will be as good as our personnel who keep it going since the business is running of the company’s label which is maintained by the operations done with the help of the employees. So it is worth devoting time for improving our hiring process and retention strategy for our esteemed organisation. Opportunity cost on making a talented employee to leave our company is just like giving our competitor to hire the best candidate who is looking for a job. It may be higher than any other loss the company may incur. Create a candidate persona : It gives the representation of an ideal candidate for your vacancy and includes every characteristic that should be considered. What you expect from the new joinee can be compared with what they actually give for further reviews and proper actions. Organisational culture includes an organisation’s vision, values, norms and beliefs. It is considered to be the organisation’s expectation of member behaviour and interactions with the outside world. Along with job information it should also be properly communicated with the employee. In India, a land of diversity, there are people with different beliefs and culture. No one has control over other’s cultural emotion. But a business should work on a global culture and does not insist on a specific one. While hiring employees for the available vacancies the company should know whether the candidate can cope with the organisational culture. Behavioural profiling is done to evaluate the nature and attitude of the prospective employee. There are a variety of tools to assess one’s behaviour such as career placement test, job aptitude test etc. The evaluation should be made on their leadership skills, cultural acceptance, and their natural behaviours. Career profile alone can’t do anything for better yields. Only one with essential behaviour profile can go along with a productive team. Now it has become a common practice to hire from the outside sector. Many successful successors are there to prove this context. There are skills and ways of working that each sector can adopt from one another and some people excels in the field other than theirs. Jobs now hiring have this kind of pattern in selection. Sometimes what will be learnt from academics have nothing to do with our job. Only a passionate employee who loves his job can be considered to be the best candidate. Before starting with your recruitment process you should do a complete market research on the kind of traversing your prospective candidates may go through. They are many different types of platforms to search for a job both online and offline. Preferences of your candidate should be well known in advance. The most reliable source is the main concern of every candidate. And many other factors determine each candidate’s preferences. 1. Creation of a healthy employee brand : Employer branding is related to how a company perceive prospective and current employees. Positive employer branding can help to appeal and retain the best employees. It can also help to minimise the hiring costs by attracting more candidates per vacancy for job. Employer branding includes explaining the employee benefits to make them feel that they could get advantages out of their employment like better salary package at a right compensation level. It is an important element to conceive and retain employees in an organisation. 2. Explain the job description : Generally, this document defines the general tasks or related duties and responsibilities to the employee. While creating a job description we should be sure that we are describing the most successful individual in the role, not a mere listing of job qualifications. That means concentrate enough on soft skills required for success. It includes professional attributes like communication skills, critical thinking, creative thinking, interpersonal skills and to be social. Job description can give the employee a clear idea regarding what the company really expects from them. 3. 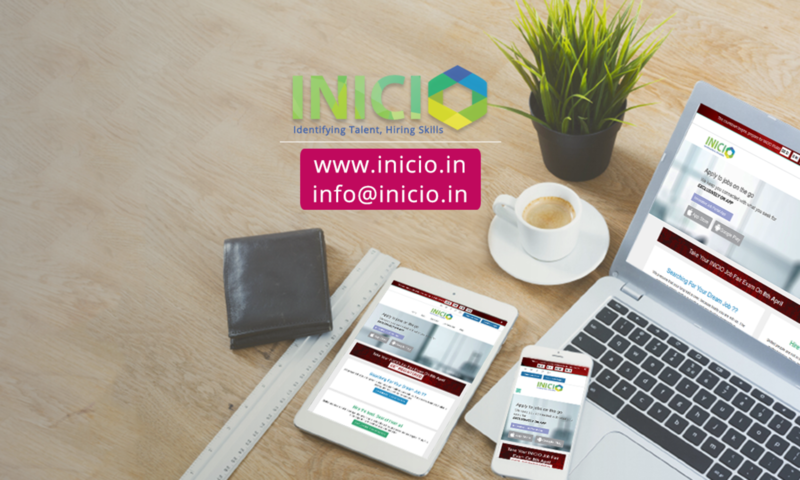 Get the word out through suitable source : Pass your fresh job alert through the most reliable and useful source like employee referral, job finder apps like INICIO job app, employment websites etc. Labour turnover will be less if referred by the existing employee since they have a clear idea about the company. A company can’t the do the task of hiring alone, it should be accompanied by many other sources of job hunting. 4. Filter candidates from the available resources : Selected candidates can be interviewed again and again to perfectly refine them. The interview should maintain a structural pattern like mailing the updates on acceptance and rejection etc. An interview is the first phase of interaction between the company and candidate. So most care should be taken on giving a first impression. 5. Employee onboarding process : Employee onboarding comprises both training and new hire forms, as well as other elements like meeting their group in particular department, socializing with company personnel, and training how company’s processes work. This is a mode of creating a sound relationship between the company and the employees. 6. Employee retention strategies : Hiring a new employee is always time-consuming and a costly affair. So it is always better to retain our existing employees with us. Make sure they are properly trained, appreciated, motivated and compensated. That is a hiring process does not end with appointing an employee sufficient efforts must be taken to get their feedback on how they feel and make necessary actions to retain them. For reducing the problems in hiring, employee retention is generally followed by the companies. It can be done in many ways. Follow-ups with candidates after an interview is a better option. If we make proper follow-ups after an interview it can increase our reputation and a responsive firm is always recognised for their care. Appraisal for higher performance is the other way of retention. For high performing employees the company should give some rewards like cash bonus, paid time off, special gifts, recognition, promotion, a private dinner invitation, training or credentialing. To recapitulate hiring a new employee to an organisation is a complex task since the company have to deal with the human resource about which everything is uncertain. Before entering into the process we should make a checklist on the criteria for selection. This checklist for hiring an employee will aid in systematizing the procedure for hiring. Whether it is the first employee or one of many employees, this will helps in keeping track of recruiting efforts.